The staff was exceptionally nice. The location was right where we wanted. 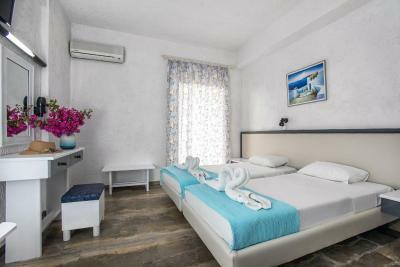 Great pool, family staff members so very warm atmosphere, rooms are very clean (every day the bed is made). Close to beach and some good and cheap restaurants nearby. Overall a good place to stay, nice pool, rooms old fashioned, clean & bright as expected staff friendly and helpful, breakfast was good, a pleasant stay for a night or two . 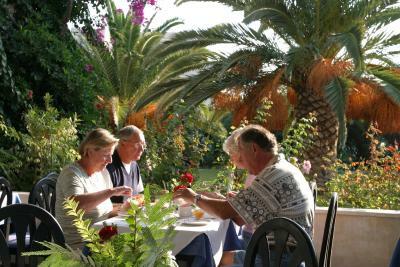 The breakfast was very nice and you can eat outdoors. The beds were comfortable and there was a balcony. The room was clean. 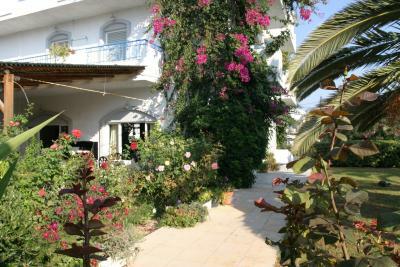 The hotel is very nice and spacious, in the middle of a lush garden, very close to the beach. 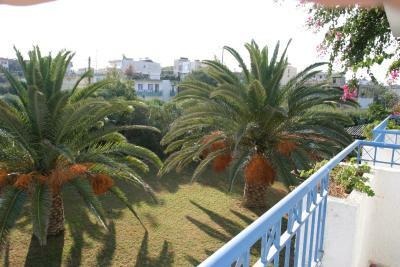 It is very clean, the breakfast area is very beautiful, on a porch surrounded by the garden. The breakfast itself is very good, it has all the breakfast foods for all tastes. 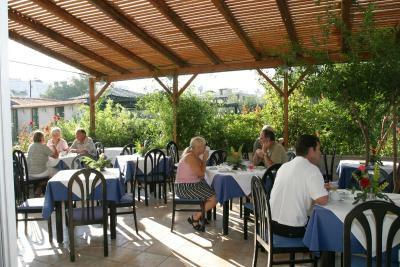 The management of the hotel are very nice, very friendly, always ready to help. There is spacious free parking in front of the hotel. We were very happy with our stay and will definitely book again. 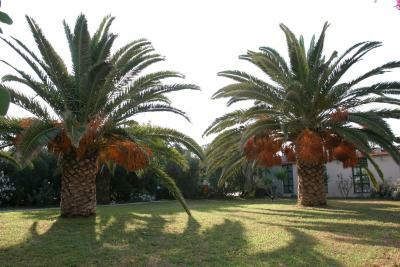 Everything was excellent, clean room, very good breakfast, nice and clean pool, excellent location, very kind staf. My stay was amazing due to really hospitable and helpful stuff of the hotel. The breakfast was delicious, the room was spacious and very clean. The swimming pool in the backyard and the location of the hotel are brilliant. There are lots of cosy bars, taverns and souvenir shops nearby. The bus stop is unbelievably close, I could get wherever I wanted (the transfer to the airport is very convenient). The sea is really close and there are not so many people at the beach. I enjoyed my stay here a lot, it felt like home. Highly recommended! 1) Very nice, friendly and helpful personal. When we left, we hugged and are going to miss them. 2) In the room, there is an air conditioning, fridge and television working well. 3) Many rooms look into the garden and it is extremely quite. 4) Very good breakfast. There is enough choice and enough to eat. 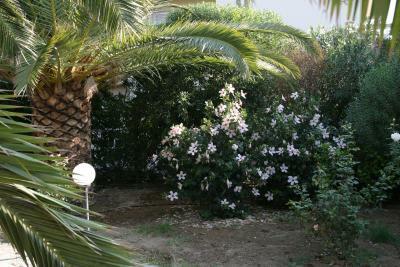 5) Very near to the beach. At the beach people are quite and it is not crowded. 6) Next to the hotel is a doctor, enough restaurants (6 - 7 Euro / person), super markets, play grounds for children, ... 7) This hotel and area is very good for families. The family-run Gorgona Hotel has a swimming pool with pool bar, and is surrounded by private gardens with lush vegetation that spread over 5,000 square yards. The sandy beach, awarded every single year with the blue flag, is only 500 feet away and it offers water sports, sun beds and umbrellas. Gorgona offers 39 rooms on a bed and breakfast basis, all with their own balconies, private bathroom, air conditioning, TV, refrigerator and safe box. General facilities include a lounge with TV and free parking. Free WiFi is provided throughout. Amoudara is 3.7 mi east of Irakleion. Regular bus connection connects Gorgona Hotel to the city every 15 minutes. Room opens onto a balcony. Air conditioning, TV, fridge and safe are standard. Bed type is upon request and subject to availability. I lived in a very similar hotel in another location in Crete (similar quality/age of beds/walls/interior/bathroom) and the price was approximately half. I wouldn't recommend staying at the ground floor because it was very noisy around midnight. Unfortunately the cafe/bar at the pool was closing at 8pm. Small bathroom, very small shower with curtain! The breakfast was ok, but definitely not bad! AC power doesnt work when you leave room, so you can charge your electronic devices only when you are in room. Rooms very basic but very clean , would have liked a kettle and cup for a cuppa. Very correct and helpful owner / staff. Above all, the most welcoming and accommodating personnel. They made our (couple with a baby and a child) stay very comfortable. Because of their flexibility, all our needs were met. 1) The rooms are not 100% quite. There is the sound of the fridge. However it didn't disturb us not at all. Also our kid (3 years old) could sleep well.